Fully integrated 2 Way SMS or 1 Way text messaging. Send single SMS text messages or bulk SMS text messages directly through Chameleon-i. We have partnered with Icetrak to offer this discreet but effective communication tool. Our partnership means you can simply send at the click of a button SMS messages directly from your Chameleon-i account and receive reply messages back into the record, keeping a full communication log with your candidates. For occasions when you don’t need to have a conversation with the candidate and just want a simple text back reply the 2-way service is ideal. Replies get routed back to the consultant’s email and importantly, also stored on the Chameleon-i candidate record. If you don’t want or need text back replies then the 1-way service is all you need. There are several free of charge customisable options that Icetrak can set up. You can monitor usage across individuals, business teams, office or companies and can set up your existing cost codes. Icetrak can ensure every message goes out with a prefix that identifies the sender, consultant, direct dial number and more. 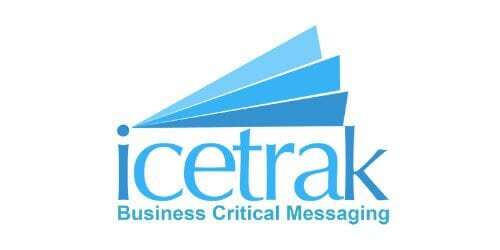 Icetrak can also be set up to limit the number or value of messages sent in any given period. Other tools assist you in tracking costs and how effectively the service is being utilised across the agency. Icetrak has been established for over 10 years. Their infrastructure is based over multiple data centres. They understand what recruiters need to make their communications a success; they can guide you through every stage of the set up process and offer excellent ongoing customer service and support. If you wish to find out more about Icetrak please contact us on +44 (0)1483 600370.